The William Floyd High School NJROTC received the “Distinguished Unit” Award for NJROTC Area 4 twice in the last three years. NCPD are investigating a Vehicular Accident that occurred on Saturday, December 30, in Levittown. Levittown, NY - January 2, 2017 - The Second Squad is investigating a Serious Vehicular Accident that occurred on Saturday, December 30, 2017 at 2:30 am in Levittown. 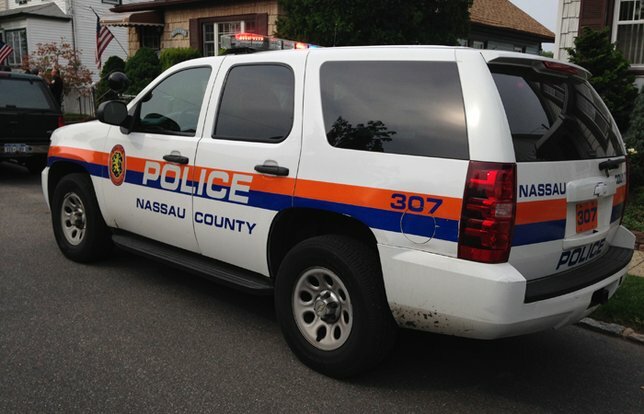 According to detectives, a 2008 black Mercedes Benz was traveling eastbound on Hempstead Turnpike when the driver passed a red traffic signal and collided into a 2017 Dodge pickup truck traveling northbound on Wantagh Avenue. This caused two (2) other vehicles (a 2017 Jeep Cherokee and a 2016 Volkswagen) also traveling northbound on Wantagh Avenue to collide. The driver of the Mercedes Benz fled the scene on foot leaving the automobile at the scene. The driver is only described as a male black. The driver of the Jeep (25 year old male) and his passenger (21 year old female) were transported to a local hospital with serious injuries. Detectives request anyone with information about the above crime to contact Nassau County Crime Stoppers at 1-800-244-TIPS. All callers will remain anonymous. Subject: LongIsland.com - Your Name sent you Article details of "Suspect Crashes Motor Vehicle in Levittown, Flees Scene on Foot, Police Say"